It is one of the fundamental truths of life we all have dreams! Here is a version of the American Dream from Colorado. At first I though that this dream was simple but the hard, agonising truth, is that the more you think about wanting clean dirt the more impossible it is to make that dream a reality. 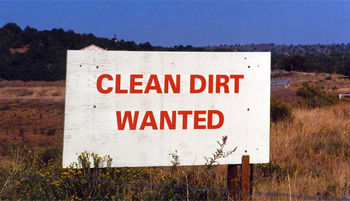 Just as the folks who ran nuclear power stations around the world that have had accidents have probably discovered and will be striving for ‘clean dirt’ for hundreds of years to come. Did you know that since 1961 until now there have been 99, yes 99 (what a shame you can’t put numbers in capitals) nuclear accidents! Staring with Idaho Falls, Idaho, United States in January 1961 and ending with the disaster at Mihama Nuclear Power Plant Fukushima, Japan in 2011. 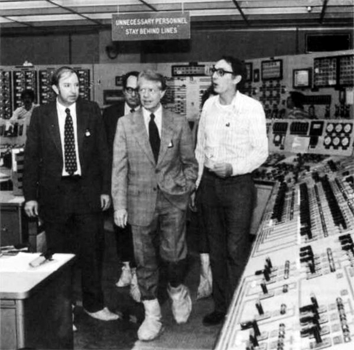 Though not responsible in any way for the accident at Three Mile Island, here is a picture of President Jimmy Carter on the scene, I think he looks a bit guilty, but that could be shock! Couldn’t it? You have to wonder just how strictly rules and procedures were enforced back in those days , and of course now, because nuclear plants can “go up” at any time. Why am I asking that pointed, or to some pointless, question well the sign above the President’s head says “UNNECESSARY PERSONNEL STAY BEHIND LINE” clearly in the picture the radiation bootied Pres has both feet over those all important lines. Oh sorry I forgot the Three Mile Island did “go up” didn’t it! Which I suppose answers my question doesn’t it!